Erin Connor, 22, of Bridport was crowned Miss Vermont 2017 at the historic Vergennes Opera House on Friday, April 21, 2017. Erin is a student at the University of Vermont, where she is studying Public Communication. She performed America Sign Language to The Greatest Love of All in the talent portion of the competition. Members of the deaf community from Vermont and Massachusetts attended the show to see her perform. Connor lives her platform “Tailwinds: Training a New Generation of Female Scientists” through her many years promoting STEM and sharing her experience as a pilot across the state. “As Miss Vermont, I will expand the experiments, connections, and programs open to young women who need to believe in themselves and reach for the sky and their limitless possibilities” she said. Erin will be representing the state at the Miss America pageant in historic Atlantic City in September. The Miss Vermont program also crowned their teen ambassador on Saturday. Jenna Lawrence, 16, of St. Albans is the new Miss Vermont’s Outstanding Teen. A singer, she performed “Jar of Hearts” during the show. Lawrence is a junior at BFA St. Albans and will be promoting her platform, Alzheimer’s and Dementia Advocacy and Awareness. Jenna says, “I’m thrilled to be able to reach so many more people in Vermont as Miss Vermont’s Outstanding Teen. My experience advocating for Alzheimer’s awareness has been so fulfilling and I can’t wait to hit the ground running in this new role.” Jenna will represent the State of Vermont at the Miss America’s Outstanding Teen competition in Florida this August. Just a few days left to sign up to compete in this year’s MISS VERMONT or MISS VERMONT’S OUTSTANDING TEEN competition! If you are: . ✔️looking for academic scholarships. ✔️committed to making an IMPACT in your community. ✔️ready to showcase your stage-worthy talent. THEN WE WANT YOU! Sign up today at the ➡️ link in our profile. Hey you! Yes YOU! 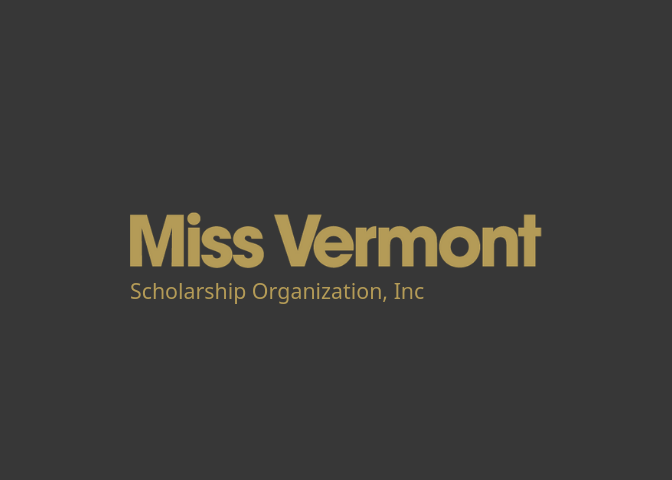 The deadline to sign up to compete for MISS VERMONT or MISS VERMONT’s OUTSTANDING TEEN is April 15th! Hop over to the ➡️ link in our profile to learn more how YOU can get started on this exciting journey! After Miss Vermont is selected, she embarks on her “year of service.” As a spokesperson and advocate, Miss Vermont travels throughout the state, addressing diverse audiences, increasing awareness and promoting the Miss Vermont Scholarship Organization and the Children’s Miracle Network Hospitals, as well as her chosen social impact initiative. . Sound like you? Drop us a DM to learn more & to sign up today!